My Very First Blog: Happy Birthday To Panda! Do you like my birthday card? It's from my insurance agent by the way. Who sends birthday card anymore, except insurance agents? 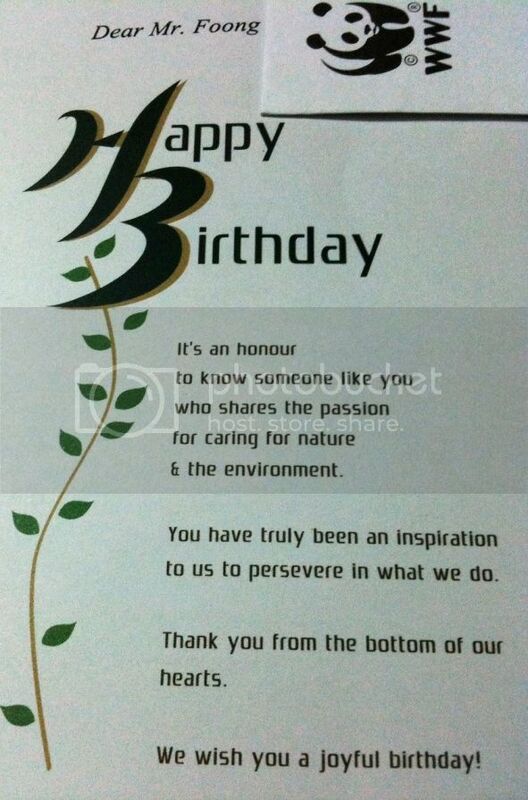 Even DIGI did not send me a birthday card. Instead, they sent me a Happy Birthday greeting via text messaging. The message reads like this : "To our valued customer, DIGI wishes you a Happy Birthday". How impersonal! Now don't get me wrong. I do appreciate all those birthday wishes whether they were sent via slow mail, e-mail, sms, iMessage, Whatsapp, kik, Line, Twitter or Facebook. Thank you all for wishing me Happy Birthday! You know who you are! By the way, in case you do not know, it's NOT my birthday today. That was on December 1st. I am only blogging about it now. LOL! Oh, guess what? I even received a birthday card from a fellow panda in the form of WWF. Nice and heartfelt. Thanks WWF! Although many people sent me birthday wishes via text messaging or sms, I have to show you all a message I received from blogger SK. I am not sure if I should show it here since it's his personal message to me, but I think it should be OK, right SK? Bambooshootilicious? Haha!! I could not help laughing out loud when I read that! By the way, if you are not an iPhone user and you are wondering why there are both blue and green colour messages, well the blue ones are iMessages (which are sent online between two iPhone users) and the green one is a normal sms message. Why was my last reply to SK not via iMessage but normal sms? Beats me! 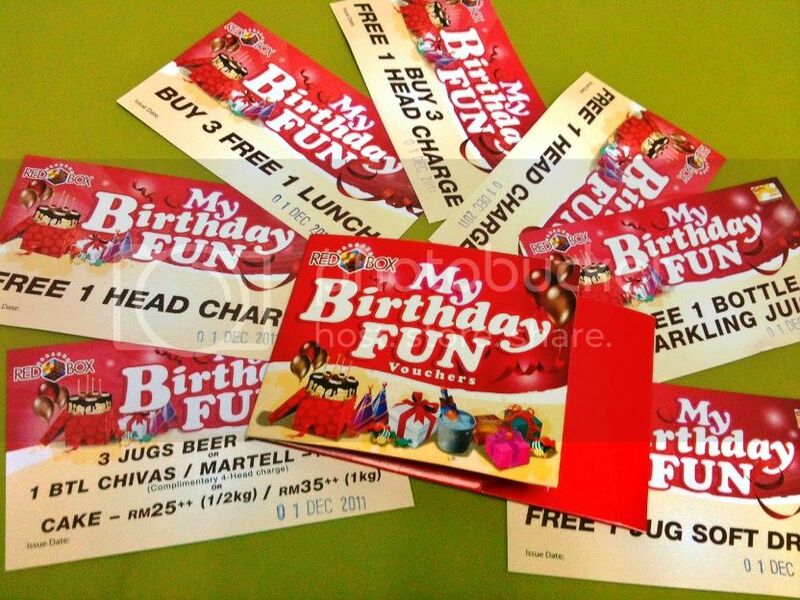 One of the perks on my birthday month is getting the Birthday Vouchers from Redbox Karaoke. It's gonna be a karaoke month for me, that's for sure! A "surprise" birthday dinner thrown by my blogger friends also awaited me, but let's leave that to another post, shall we?